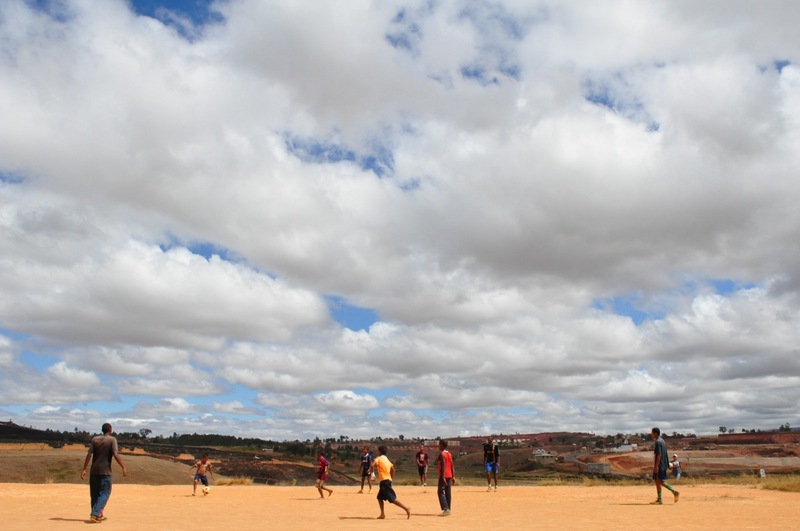 Playing soccer under a big Malagasy sky. Our security guards now have one more thing to protect: the goal. The security guards have started a weekly soccer game to improve esprit des corps and, frankly, because it is just fun. And they are not keeping the fun for just themselves. 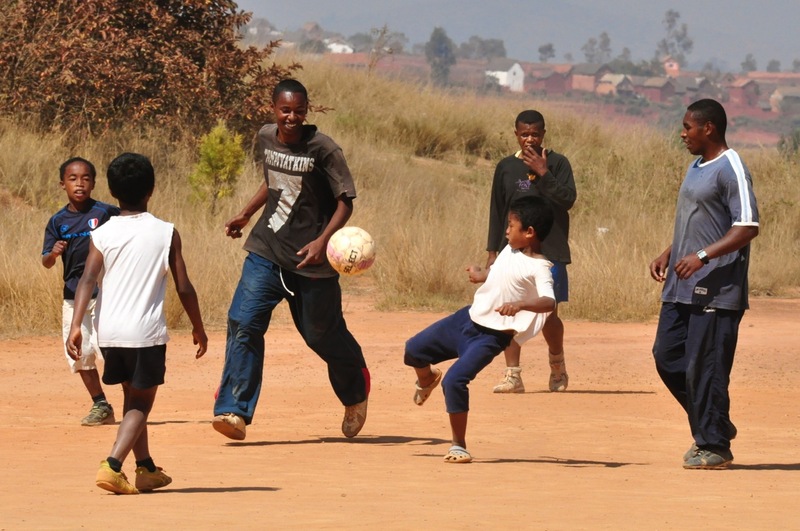 The boys join them on the soccer pitch on Saturday mornings. This is a wonderful initiative lead by the members of the security department. Thanks to support and donations, Akany has lent a hand...er, foot...and provided balls, some soccer clothes and even goalie gloves. For many more photos of this fantastic program, please visit the complete photo album on our Facebook Group page. There is bit of a height advantage for the security guards, but the teams are mixed, so it all evens out.